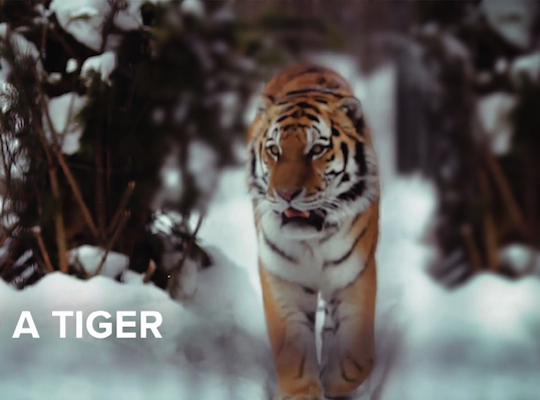 WWF is combining mobile app technology with cause marketing in a ‘Tiger Challenge’ competition that pits runners against a wild Amur tiger to help save the species in Russia. Designed in association with agency Hungry Boys, the project aims to raise awareness of the plight of the Amur tiger, of which there are only 450 left in the wild. WWF has placed a GPS tracker on a real tiger in the wild, to track his position and distance travelled every day. The project’s website plots the tiger on a map in South-Eastern Russia (approximate coordinates “to avoid poaching”), and gives the distance it runs per day – 20km on average. Runners who sign up to the challenge and fail to match the tiger’s running distance every day must pay the price and donate $5 to the WWF save the tiger campaign. Anyone can sign up to connect the Tiger Challenge to their choice of running app: Nike+, Mapmyrun, Runkeeper, Strava, Endomondo, Myfitnesspal, Jawbone, Fitbit or Adidas Mycoach. WWF Russia head of marketing Yury Sochnev describes the campaign as a win-win situation. “The decline in the wild tiger population is a global issue. This is a positive and creative way to raise awareness of their plight. Contestants can monitor their performance against the big cat and each other using the hashtag #Run4Tiger on Twitter. WWF Tiger Challenge #Run4Tiger from HB on Vimeo.